Off On A Tangent: Happy Birthday to My Blog. 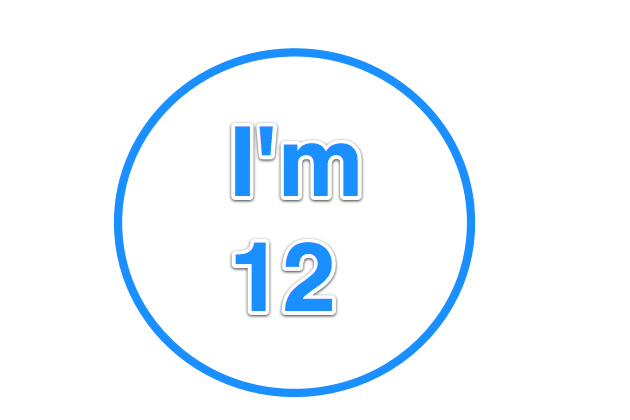 I'm 12 Years Old! I started blogging here in November of 2000. Here's my first blog post. Today we had a really good meeting and lunch. The best part of the day was when our meeting went off on a tangent and we started discussing the current election. After lots of talk about Saturday Night Live and the Hamburger sketch (watch it in the screening room Season 3-5 3/18/78), we decided that this stuff had to be logged somewhere. I've been using Blogger hosted on Blogspot since then. I first started blogging in 1997 in a hand coded site for the Karlson and McKenzie morning radio show on Eagle 93.7 in Boston where I was a producer from November 18, 1997 to April 1, 1999.. I was also the wacky sidekick and boxed for charity one time. Crazy! I met some great people over the years. I met them when they came into the station to be interviewed and brought them into the green room where we got to spend quality time together. That's where I learned that people are people. Chris Brogan likes when I say that. People don't want to be treated as famous people, they just want to be treated the same as everybody else. But back to Blogger and this blog. When Blogger came out, it made everything so much easier. I use the blog to write about all kinds of topics, and still do. Recently I've started using categories in a more structured way so that people who are coming here, looking for certain types of posts, will be able to find them. One time I asked to go to a local food blogger meetup, and the organizer said, "You're not a food blogger." I told him that I was and had to break out all my food posts. Now that's a lot easier. The categories will also help prospective sponsors see the kind of content that I produce in their field of interest. In January of 2004 I branched out and started a video blog. It started as an experiment to figure out how to put video on a blog. I called it Steve Garfield's Video Blog and used it to learn, teach, and experiment with putting video online. That lead to me writing my book about online video, Get Seen. Blogging has also allowed me to make friends with people from all over the world. Hi! My blog is one of my social media outposts. SteveGarfield.com is my home base, and from there, you can link over here to my blog, to see my posts. My other outposts are on sites that are not totally under my control, Facebook, Twitter, Tumblr, Flickr, etc. Thanks for visiting and I'd love to hear from you in the comments. What categories do you like reading? Ain't blogging grand? Congrats, Steve! You are a pioneer. They don't stay young long! Congratulations! Happy birthday to your 12 year old blog! You have come a long way baby!! !